EPA stormwater regulations that could cost millions. 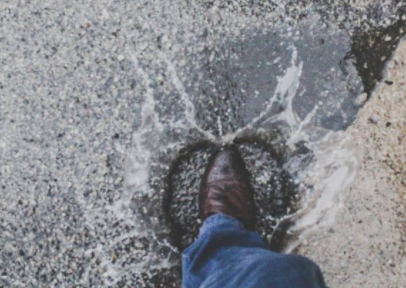 Earlier this month, New England communities countered stormwater permits issued by the Environmental Protection Agency (EPA). The permit stands to affect cities in EPA Region 1- New Hampshire, Massachusetts, Vermont, Connecticut, Rhode Island and Maine. Municipal officials in all states call the permits burdensome and expensive as cities throughout the region prepare for potential costs of more than $1 million each year if the permits are enforced. The MS4 stormwater permits, which regulate how stormwater is handled in some EPA Region 1 cities, were proposed by the EPA to ensure the long-term health of the region's waterways. Old, eroding stormwater systems are a major source of water pollution according to the EPA. Still, communities have lobbied against the new permits. One grievance is cost - cities found in non-compliance will have to increase their stormwater budget to potentially $1 million a year for renovations. Some city officials in Massachusetts have considered covering the costs through an annual fee of about $74 for single-family homes. "I wish we could avoid this. I wish we could absorb it, but the general fund just can't handle the $1.4 million," Dracut, Massachusetts Town Manager Jim Duggan said in a recent press release. The implementation of the permits remain uncertain. Although issued on January 18, many city officials report receiving no official notification of the change. According to Dover, Massachusetts City Manager Michael Joyal, the regulations are not the federal register - meaning that they aren't official. However, there has been a moratorium on new regulations issued by the EPA since the change of office earlier this year- the only thing certain is uncertainty. To learn more about EPA Region 1 MS4 Stormwater Permit, visit their website. To learn more about stormwater management training, visit Zack Academy's website.